The design features of the 2018 Golf SportWagen include things that drivers can appreciate. A panoramic sunroof that allows for an amazing view of the day and night sky is a great feature to have. 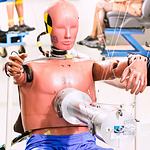 How Does the IIHS Arrive at Their Safety Ratings? If you've researched the safety ratings of new vehicles, chances are you've seen Insurance Institute for Highway Safety (IIHS) ratings mentioned. The IIHS uses a descriptive rating system that ranges from Poor to Good, but how do they decide on those ratings? The IIHS safety rating puts each vehicle through a battery of five crash tests. The first is a frontal-crash test that simulates hitting another vehicle head-on at 40 mph. Another frontal-crash test hits the vehicle with another vehicle at an angle. Design is something that some will focus on as they search for a vehicle. The design of a vehicle might be something that you feel is worthy of your attention. 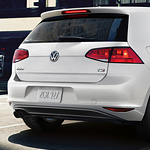 You will love the design features that make the Volkswagen Golf SportWagen a unique hatchback option. 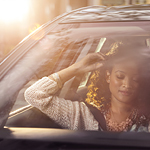 Here at Lithia Medford Volkswagen, we want to make sure you're happy with your car. Too often, however, people aren't confident in the quality and dependability of used vehicles. 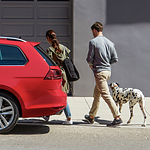 We think we have the solution—the Volkswagen Certified Pre-Owned Program makes buying used a straightforward and painless process. Let's discuss why. First, the program offers an exhaustive breakdown of your vehicle's driving record. 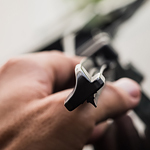 This list includes troubling factors like accidents, repairs, and problem areas of your vehicle's infrastructure. 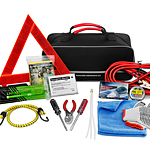 When making a winter kit for your car, you are going to need to figure out what you are going to need so that you will be safe. When thinking about your needs, the most important factors are safety, and connection. You need to make sure that you are safe and that you have someone that you can get in contact with. One of the issues that can come with driving is at certain parts the sun is going to be in front of you. This can cause a major glare that can blind you. Being blinded by the sun can cause you to crash. Fortunately, there are things you can do in order to reduce the glare on your vehicle. The Volkswagen Passat is a popular car among drivers in Medford. The Volkswagen Passat comes complete with an array of technology features that make the model highly attractive. 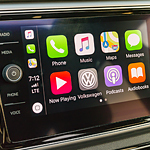 If you desire more details on the Volkswagen Passat technology features, the team of skilled professionals at Lithia Medford Volkswagen can provide you the information you need. 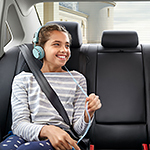 One of the Volkswagen Passat technology features is the family entertainment center. The entertainment system includes a Fender premium audio system. It is equipped for SiriusXM radio. Are you looking for an SUV that is made just for a family like yours? Consider the popular family SUV that is the Atlas. 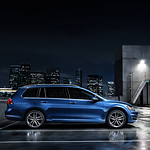 This mid-size SUV from Volkswagen is made with all kinds of technology features that will entertain both you and your passengers - and help you all to stay safe on the road, too. If you're someone who has difficulties getting into tight parking spots, take a look at the 2018 Volkswagen Golf. It's available with advanced features that can take care of the task for you.